[Press release] — Two short films directed by Matt Checkowski and produced by The D4D, Porter Braised Ox Cheek” and “Mixed Berries, Three Ways,” have been named part of the official selection for the 7th Annual NYC Food Film Festival, which runs October 23rd – 27th, 2013 in New York City. The Food Film Festival (http://thefoodfilmfestival.com) sprang from theimagination of Festival Director and Travel Channel host George Motz, the documentary filmmaker behind the award-winning Hamburger America film and book, along with co-creator Harry Hawk. Through documentaries, features and short films, the Festival showcases the best, and the most memorable, of the world’s favorite foods. Along with a heaping helping of mouth-watering films, Motz, Hawk and company serve up the food that guests are watching on the screen for a multi-sensory experience. 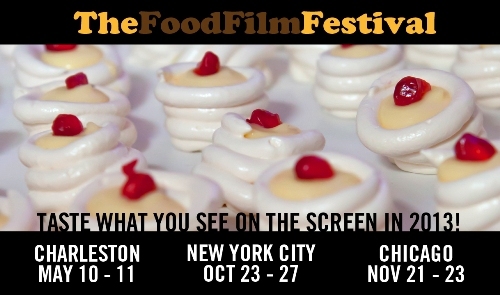 This is the second time The D4D and Matt Checkowski have had work in the Food Film Festival. Two years ago the Chicago iteration screened its short film for Intelligentsia “Espresso” The film is part of a series created for Intelligentsia¹s core audience of coffee obsessives and artisanal culturistas.